You must be fluent to work with us, so please read the information above. 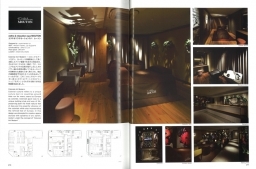 President of supermaniac inc. Akitoshi Imafuku talks about “The Method of Presentation” which he always focus on sharing “idea” or “concept” of the project sometime without drawings. 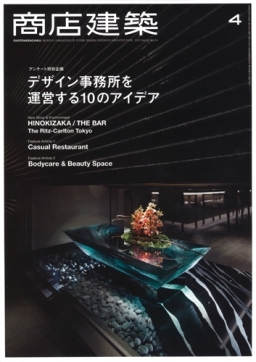 “Oyster&Wine Standing Restaurant SUSHIMARU” we designed is in August edition of “KINDAI SHOKUDO” from Asahiya Publishing. 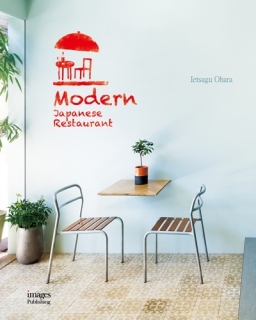 One of our prject is in a hardcover book “Modern Japanese Restaurant” published in China. 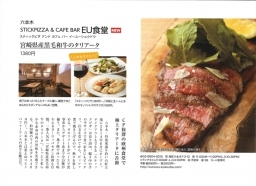 “stick pizza EU SHOKUDO” we design in Roppongi is in “TOKYO CALENDER MOOK 2015.” In this coming June “EU SHOKUDO” will celebrate its 1st aniversary!! Please come visit and celebrate! 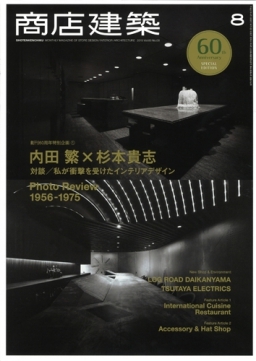 President of supermaniac inc. Akitoshi Imafuku talks about “The Strategy to Manage Design Office based on Experiences” with Ichiro Nishiwaki and Taiki Ozaki. 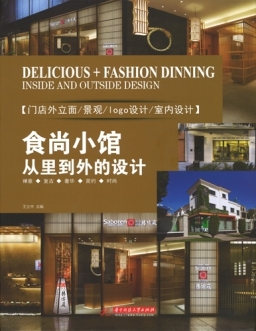 We hope this will be useful for young designers who plan to open their own office. 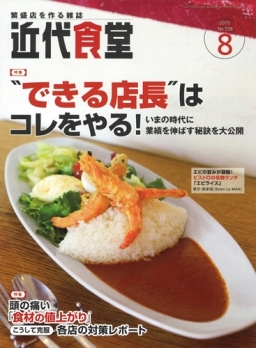 Also “IPPUDO Shinjuku Island Tower” appeared in the same issue. Please check it out!